The gearbox is getting ready. 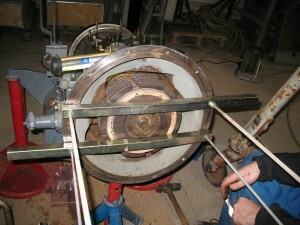 Now, the gearbox is almost finished. 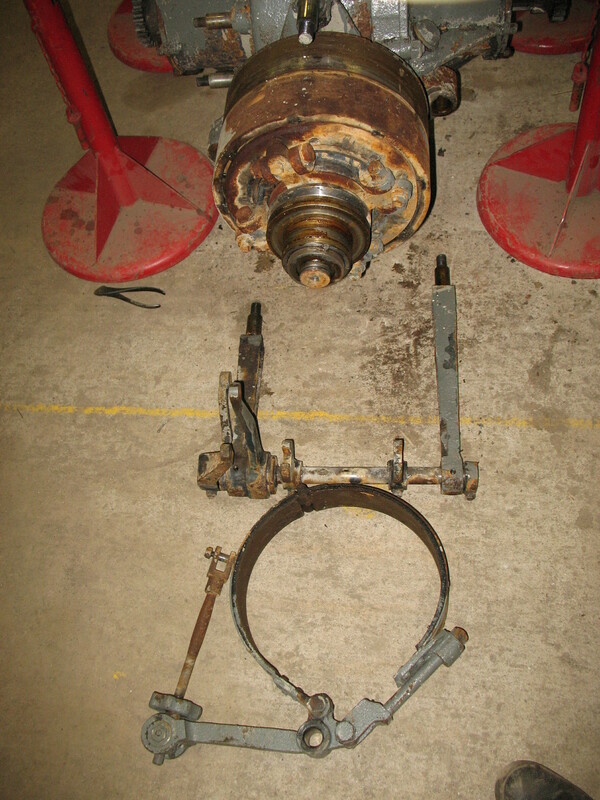 The foot brake and the output shaft is mounted. 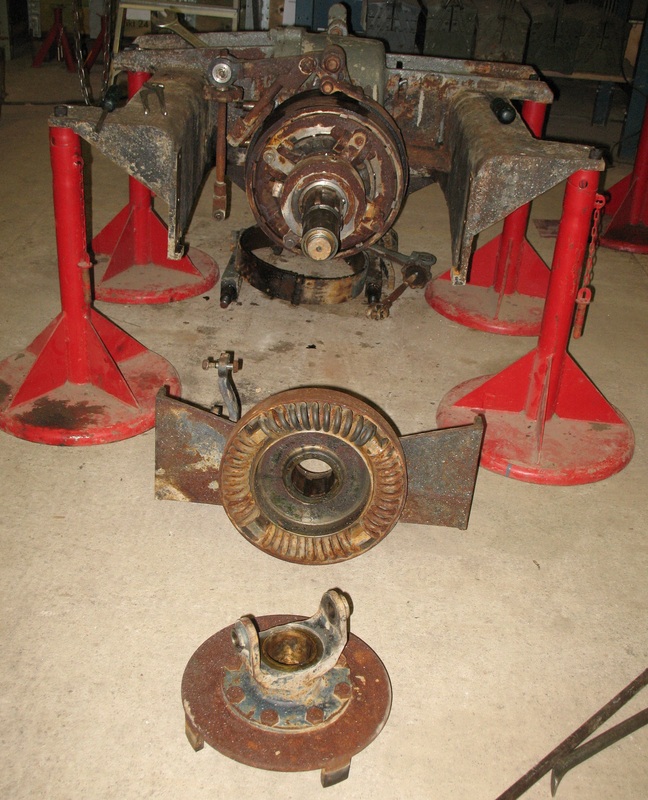 What is missing is the clutch pack that is mounted on the input shaft to the gearbox, but with the help of some homemade tools it should be fine. 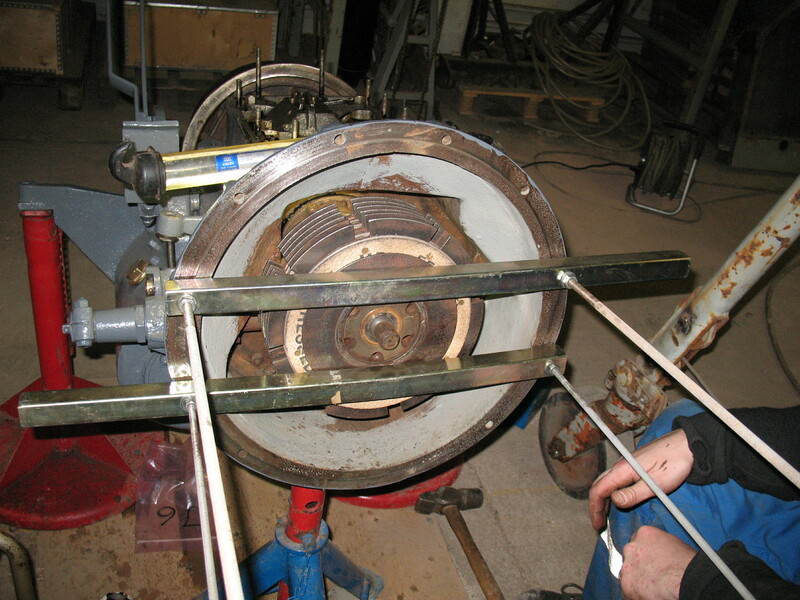 Now the steering gear, to be exhibited in the museum, is ready and we have learned a lot while working with it. So now it is time to start with the one which will be placed in the carriage. 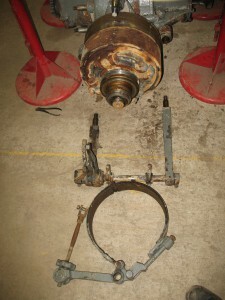 The gear is propped up in the workshop and all linkage and clutch packs are dismantled. The next step is to clean, blast and paint all the parts. The stering gear from the front and from behind. The steering gear ready to be set out (almost). 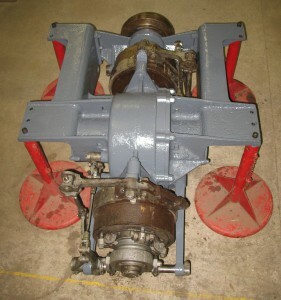 Now the steering gear is almost complete and then it is to be exhibited in the museum. All fixed parts are painted gray while all moving parts are colored.in metal What is missing is a frame to put it in. Skriv in din e-post adress här så får du inläggen direkt till din e-post.